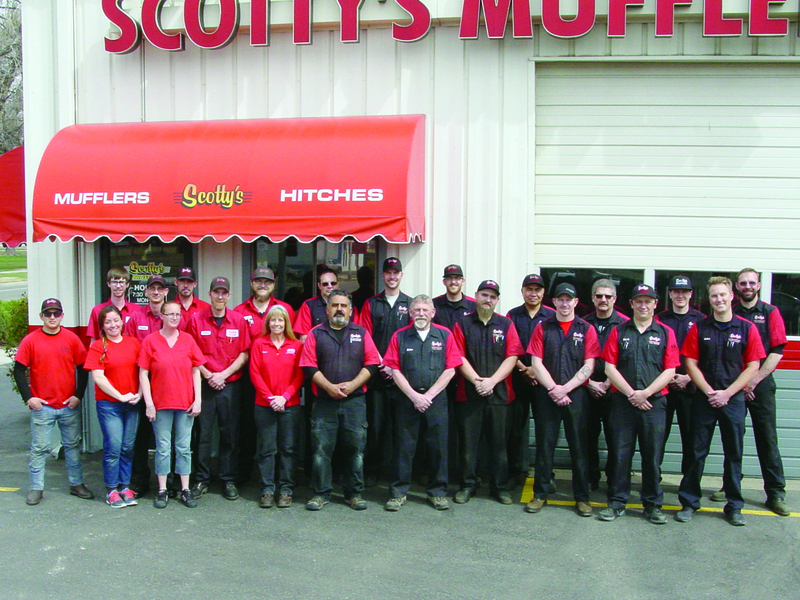 Since 1976, Scottys Muffler has been proud to have a strong presence in the great community that we all live in. As a Family Owned and Operated business Scotty’s has evolved from a small two bay muffler shop to “Your Complete Car Care Center”. Scottys now houses more than 23 Repair Bays to perform anything from Quick Full Service Oil Changes to Engine repair in the Undercar Center. It is important to everyone at Scottys to provide the Grand Valley with quality auto repairs at a fair price. Scotty’s will cater to the expectations of our customers while upholding our values and integrity, by providing them an honest and quality job every day. Currently Scottys employs more than 30 employees, both men and women, all of whom live here in the Grand Valley and support the local economy. Many of our employees have worked here at Scottys for more than 30 years! These Leaders, Managers, Salesman, and Professional Technicians are very important to our success as well as the safety of our customers who count on their vehicles day to day. Scottys Undercar has a perfect split of talented youth and experienced veterans. Matt Nunn and Luke Puckett run the Undercar Center as our Service Advisors. Both have 12 years with Scottys and they know your vehicle from top to bottom! Our Head Technician Danny Tigert leads a team of 8 ASE certified technicians that are the best Scottys has ever assembled. We are proud to say they have the training and technology to maintain and repair whatever you drive. I, Jake Snider and Owners Rodney and Karen Snider take great pride in operating Scottys on a daily basis. We will be here for many years to come in the future and would like to say THANK YOU! Hope we see you soon! Bring it on down to Scottys!